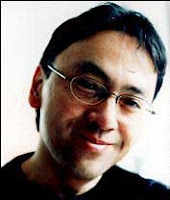 A beautiful writer, albeit more British than Japanese, is Kazuo Ishiguro. His masterful character-studies are completely involving. Whether the story is seen through the eyes of a butler (Remains of the Day), or a human Guinea pig (Never Let Me Go), the proceedings are flawlessly executed. Ishiguro isn't called a modern master for nothing. These books read like Dickensian classics set in recent times, and deserve every award they've won. The outlook and style is very mature and often heavy-going, but the vividness of the characters is second to none, and totally inescapable. Over the years Ishiguro has written disappointingly few books, but I urge you to read them all asap. There are also a couple of movie adaptations. Results have been mixed, but Anthony Hopkins' performance in Remains of the Day (also one of the best books) is still a classic. I'd also recommend An Artist of the Floating World; something of a retrospective on Japan during WWII. Contemporary Writers page about Ishiguro. Probably my top three are The Unconsoled, Remains of the Day, and When We Were Orphans, in that order. I love The Unconsoled. The Unconsoled is one of the few I haven't read. I saw it in Maruzei the other day, but it was stupidly expensive. Any tips on finding cheap books in Japan would be appreciated. I smell a future post. Maybe not quite the answer you're looking for, but getting a Kindle has dramatically increased my access to reasonably priced books. Oh, I see from another post that you have a Kindle. Any reason why you're not using it to get cheap books? I am using it, but I have to say that the price difference isn't that great. Last week I paid 1,100yen for Real World by Kirino Natsuo, which I saw in print the day before for 1,600. It's a little cheaper, but still really expensive. If I lived in the UK still, I could buy the book used for 1 pence plus postage (400 yen). Nor is the availability that good, especially of more obscure titles. I love the fact that you can get hundreds of the classics for free from Amazon, but newer books by lesser-known authors are pretty elusive. I'm sure this will change in the near future, however, and I'm completely in love with the Kindle. If I wasn't in a small town in Japan, I'd probably use the library a lot more. When I lived in Chiba, the Chiba prefectural library was great, but I don't have anything like that near me, so it was really good to get a Kindle. It's true that prices and availability are a bit mixed, but I think there's quite a lot out there now, and as you say, the situation will probably get better in the future. Oh, and free classics are indeed good, but I tend to go straight to Manybooks rather than using Amazon.